I remember the saying “An ounce of prevention is worth a pound of cure.” But when times get tight, often prevention is the first thing to go. The recently released report, National Prevention Strategy America’s Plan for Better Health and Wellness, places prevention front and center in our nation’s efforts. Prevention needs to be a key component of our efforts to build healthy, safe and respectful communities. For the first time the nation has delineated a broad, coherent approach to prevention, and made it clear that prevention is critical for improving our health. For too long, when people talk about health or healthcare, what comes to mind instead is illness. The Surgeon General herself said yesterday, “[As doctors] our biggest challenge is changing the way we think about health in this country.” But as the Strategy makes clear, prevention can save lives, reduce the demand on health care services, build equity and save money. 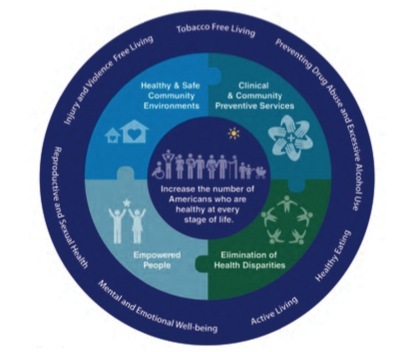 This report was released by the National Prevention, Health Promotion, and Public Health Council consisting of 17 heads of Federal departments, agencies, and offices including Departments of Education, Justice, and Health and Human Services. The report identifies that empowered individuals is essential to building effective prevention efforts. The report specifically names school-based programs to prevent violence (such as bullying and teen dating violence) and intimate partner violence prevention efforts. In addition, sexual violence prevention efforts are specifically named in the priority areas of Reproductive and Sexual Health.